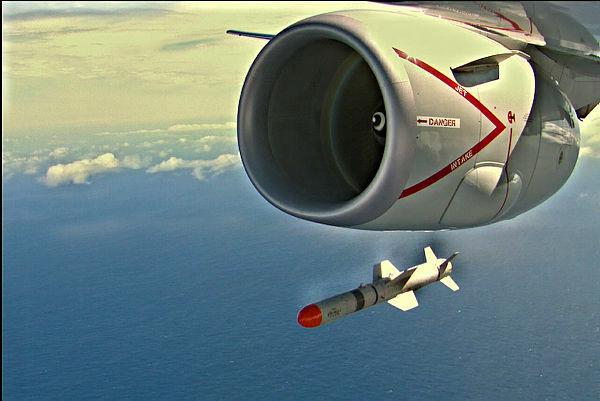 The Royal Australian Air Force’s P-8A Poseidon aircraft has successfully fired its first Harpoon missile during RIMPAC 18, which is a key stage in reaching full operating capability. In a stunning display of allied interoperability as part of the the "Capable, Adaptive Partners" theme of the 2018 RIMPAC exercise, one of Australia's new Boeing P-8A Poseidon aircraft participated in a co-ordinated strike on a target ship – the former USS Racine, a decommissioned tank landing ship – off the coast of Hawaii. Minister for Defence Marise Payne said the Harpoon is integral to the P-8A reaching full operational capability. "The successful launch of the Harpoon requires a significant effort from a range of specialist personnel," Minister Payne said. The Harpoon was released within the Pacific Missile Range Facility and successfully struck its target, working in conjunction with Japanese P-3C Orions, allied Apache Attack Helicopters providing command and control support for a US Army Gray Eagle UAS, which relayed targeting data to allied warships, land-based American and Japanese anti-ship missile batteries, and the Australian Poseidon aircraft. “Our partnership with the United States Navy has allowed us access to the Range Facility, a long standing agreement which has seen the successful testing of many Australian Defence Force weapons systems across both Air Force and Navy," said Minister Payne. The ADF is participating with Royal Australian Navy HMA Ships Adelaide, Success, Melbourne, Toowoomba and Rankin; Australian Army’s 2nd Battalion, Royal Australian Regiment; and the RAAF’s P-8A Poseidon. Minister Payne congratulated the aircrew on this achievement: "The men and women of the RAAF’s 92 Wing should be proud to have achieved this key step in the realisation of this important capability for Australia." A derivative of the 737-800 Next Generation, the P-8 combines superior performance and reliability with an advanced mission system that ensures maximum interoperability in the future battle space. Australia has committed to purchasing 12 P-8A Poseidon aircraft, which will replace the ageing fleet of P-3C Orion aircraft.